A term coined by climber/writer A.Alvarez that describes the inherent value of attempting difficult tasks. One of the main ways to know you’re feeding the rat is by way of the “oh no” or “I’m not sure I can do this” reaction. We should remember that doing the things you’ve always done, just harder or faster, is not necessarily feeding the rat. These trips must be outdoors and involve physical activity. These must be organized events. They must be organized or sponsored by a reputable group. 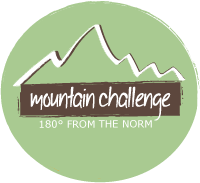 Students must sign up at Mountain Challenge before the event occurs. The events can involve either individual participation (e.g. a road race) or group participation (e.g. team mud run or team ½ marathon run). Trips and participation must be verified. Examples would be pictures, receipts, or running bib numbers.